Who doesn't love Krispy Kreme Doughnuts?!?! I think everyone has had a taste of their doughnuts. To be honest, I'm not a big fan of doughnuts but I love the Krispy Kreme ones. 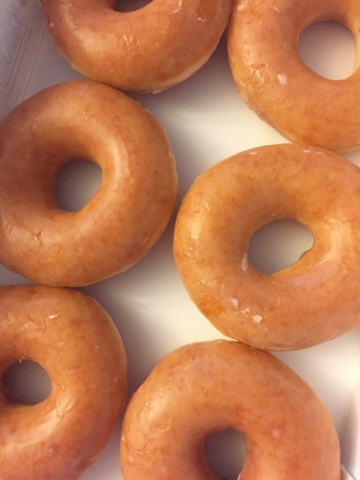 When I first tried the Original Glazed Doughnuts, I thought it was the best doughnut I had ever tasted and still love it to date. It's so good when it's fresh and hot. Krispy Kreme doughnuts are soft and moist...so yummy! We always try to pick up Krispy Kreme doughnuts when we're on Maui. Right now, the only location is on Maui, other than the mainland. 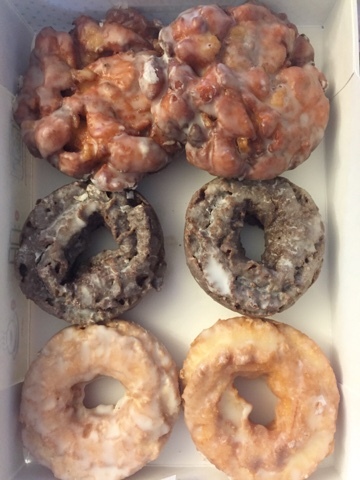 Here are some of the doughnuts we love and wanted to try. 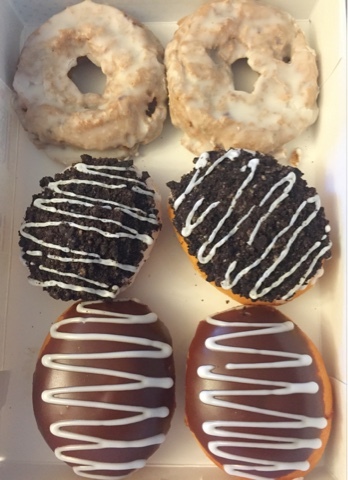 Glazed Blueberry Cake, Oreo Cookies and Kreme and Double Dark Chocolate. Apple Fritter, Glazed Chocolate Cake and Glazed Sour Cream. 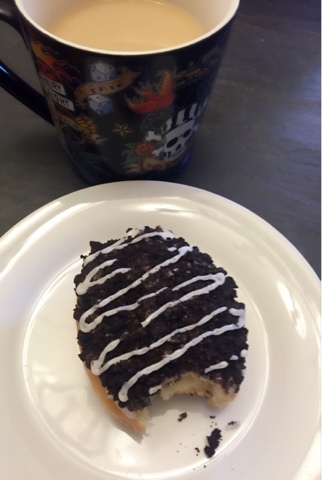 The Oreo Cookies and Kreme is delicious (first time trying it), a must try if you haven't yet. My kids are always thrilled when we pick up Krispy Kreme Doughnuts. They especially love the Double Dark Chocolate and Glazed Chocolate Cake. They are all so good and I love the variety. So much yum going on in this post! !